Zenith Remedial are the number 1 choice for ALL ERV Installation in Australia. RecoveryVent are the pioneers of ERV and HRV in Australian. In most of the developed countries around the globe, Energy Recovery Ventilation (ERV) is a standard item in homes, particularly new homes. In fact Governments are giving rebates to its people to compensate them for installing an ERV. ERV’s are an integral part of a building and we believe they should be in every home. RECOVERYVENT are bringing ERV and HRV to Australia. Why should we not be using this proven technology that is widely used throughout the globe, why should be live in stale indoor air when we can use the fresh clean air from outside. The modern home is built to be sustainable and energy efficient. Government bodies are now putting in place higher energy efficiency criteria’s for home builders to meet. This is welcomed by home owners given the continuing rises in electricity. RecoveryVent fresh air systems has the answer. New fresh clean filtered air every hour The air is pre heated or cooled by the outgoing air through the heat exchanger. Humidity is balanced through the heat exchanger. The added heating and cooling of the super efficient Heat Pump technology. 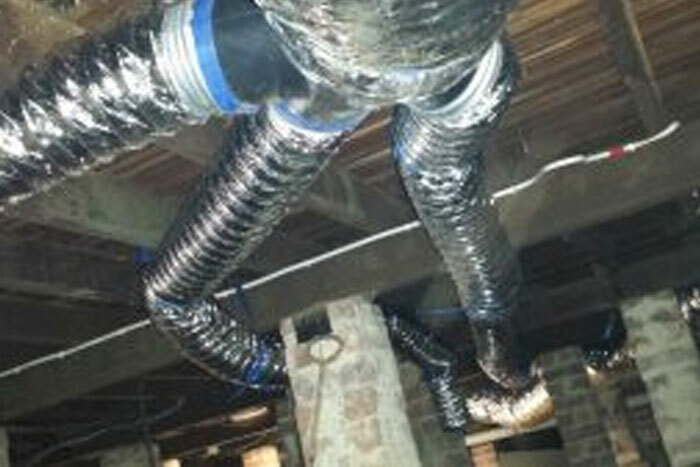 Ventilation is an important element of an energy-efficient home. Air sealing techniques can reduce air leakage to the point that contaminants with known health effects such as formaldehyde, volatile organic compounds and radon are sealed into the house. Ventilation also helps control moisture, which can lead to mould growth and structural damage. In a tight home, mechanical ventilation is necessary to achieve effective ventilation. Natural ventilation is the uncontrolled air movement in and out of the cracks and small holes in a home. In the past, this air leakage usually diluted air pollutants enough to maintain adequate indoor air quality. These days, we are sealing those cracks and holes to make our homes more energy-efficient, and after a home is properly air sealed, ventilation is necessary to maintain a healthy and comfortable indoor environment. Opening windows and doors also provides natural ventilation, but many people keep their homes closed up because they use central heating and cooling systems year-round. Natural ventilation is unpredictable and uncontrollable—you can’t rely on it to ventilate a house uniformly. Natural ventilation depends on a home’s airtightness, outdoor temperatures, wind and other factors. During mild weather some homes may lack sufficient natural ventilation for pollutant removal. During windy or extreme weather a home that hasn’t been air sealed properly will be drafty, uncomfortable and expensive to heat and cool. Spot ventilation can improve the effectiveness of natural and whole-house ventilation by removing indoor air pollution and/or moisture at its source. Spot ventilation includes the use of localised exhaust fans, such as those used above kitchen ranges and in bathrooms. ● Exhaust ventilation systems Work by depressurising the building and are relatively simple and inexpensive to install. ● Supply ventilation systems Work by pressurising the building, and are also relatively simple and inexpensive to install. ● Balanced ventilation systems, If properly designed and installed, neither pressurise nor depressurise a house. Rather they introduce and exhaust approximately equal quantities of fresh outside air and polluted inside air. ● Energy recovery ventilation systems Provide controlled ventilation while minimising energy loss. They reduce the costs of heating ventilated air in the winter by transferring heat from the warm inside air being exhausted to the fresh (but cold) supply air. In the summer, the inside air cools the warmer supply air to reduce ventilation cooling costs. Ventilation for cooling is the least expensive and most energy-efficient way to cool buildings. Ventilation works best when combined with techniques to avoid heat build-up in your home. In some climates, natural ventilation is sufficient to keep the house comfortable, although it usually needs to be supplemented with spot ventilation, ceiling fans, window fans, and—in larger homes—whole-house fans. First of All, What Is Rising Damp? 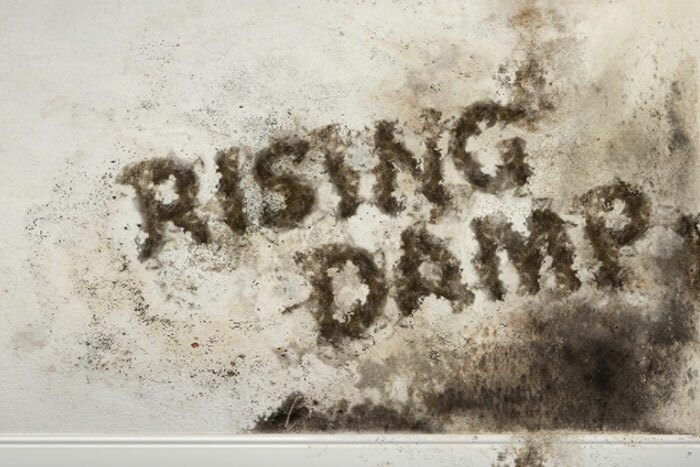 Rising damp, a worldwide phenomenon, is a major cause of decay to masonry materials such as stone, brick and mortar. Even when mild it can cause unsightly crumbling of exterior masonry and staining of internal finishes. It may also cause musty smells in poorly ventilated rooms. Rising damp occurs as a result of capillary suction of moisture from the ground into porous masonry building materials such as stone, brick, earth and mortar. The moisture evaporates from either face of the wall (inside or outside), allowing more to be drawn from below. The height to which the moisture will rise is determined by the evaporation rate and the nature of the wall. The normal limit for rising damp ranges from 0.5 to 1.5 metres above ground level. Accurate diagnosis of the cause and extent of the damp problem is very important. Specialist advice should be sought. People with asthma, allergies, or other breathing conditions may be more sensitive to mould. People with weakened immune systems (such as people with HIV infection, cancer patients taking chemotherapy or people who have received an organ transplant) and with chronic lung diseases (such as Chronic Obstructive Pulmonary Disease (COPD) and emphysema) are more at risk of mould infection particularly in their lungs. The NSW Health Department continue to state, Rising damp is ground moisture rising up a brick or stone wall. Poor sub-floor ventilation or moisture in the sub-floor area will worsen the problem. This can be fixed by installing a new dampcourse or waterproof barrier in the wall. Ensure the weep holes and air vents at the base of your home are uncovered. If you have rising or lateral damp an experienced building consultant can check the ‘damp course’ and recommend ways to fix the problem.